Jack Levy Design was graciously given a guest room to design. A Beauvais carpet in pale yellows, creams and lilac set the tone for the room. The design centers on an iron bed from Carol Gratale in a style resembling the one owned by Baroness de Rothschild. A white, lavender and yellow silk embroidered linen from Lee Jofa is the only fabric found in this space. 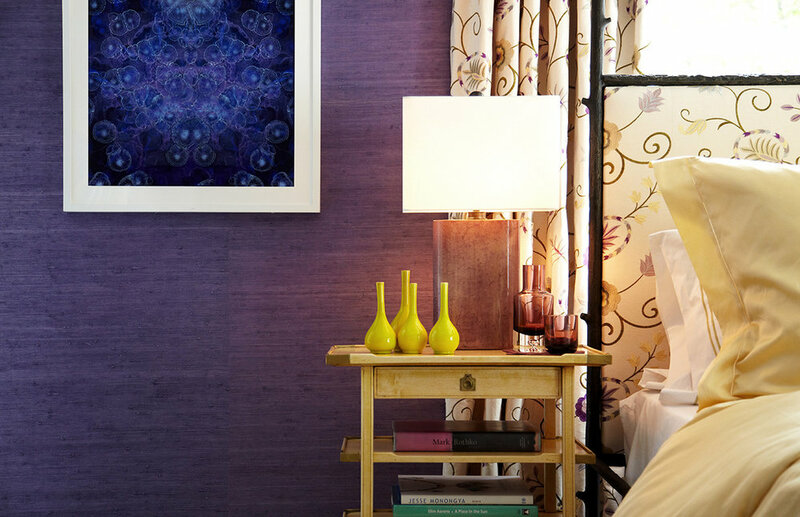 The purple grasscloth covering the walls accentuates a variety of contemporary art pieces by McKenzie Fine Art.